I’m moving. 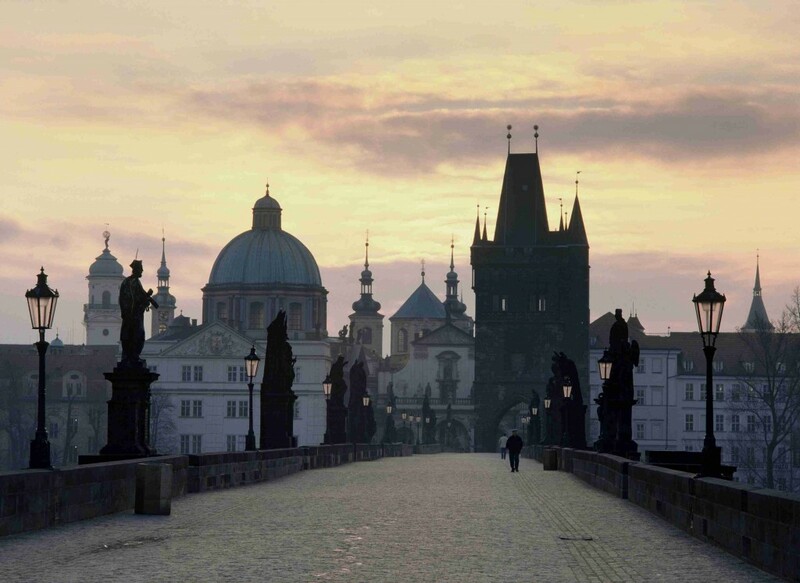 To the Czech Republic. This month. Many of you know a bit about it already: it’s been in the works for a little while now, but I had to square some other business before I could be public about it. Basically, the Pirate got an irresistible job offer there, and I’ve got some fellowship funds this year that I can stretch out for a while, so those 2 things, plus the fact that most universities are in hiring freezes right now (ie, no work for Woff), plus the strong dollar (or weaker Czech korun), and the fact we’re both big old travel bugs, means that I have really nothing to lose by leaving the Bay Area for awhile. And hell, if it’s cheaper to live in Prague than Oakland, it’s really a no-brainer. (Prague hyphy’s prolly gonna suffer in translation though.) I’ve got several big shows coming up, so to just get to focus on being an artist in Europe is a big deal! It’s really exciting, and I’m definitely looking forward to working on connecting with more artists and galleries in Europe! And since I grew up outside the USA anyway,Â it feels like I’m returning to my, er, non-roots. It feels so thrilling to be embarking on an international life again. The part that feels the hardest, though, is giving up my friends and family: outside of my various travel and residency adventures, none of which have been longer than a few months, I haven’t lived anywhere else besides the Bay Area in over 20 years, and I’ve never lived more than 30 minutes from my family”¦.ever. The Woffords aren’t an especially huggy bunch, but we do love each other a lot and take our proximity to one another for granted, so not being able to just pop over to my parents or sister’s places seems really weird. And my community of deep, dear friends here will be dearly missed, as well. Separation anxiety is kicking in already! I’ve got to pack all of my art up and put it in storage. So, no more Woff art available for quite a while, at least, not outside of the commercial galleries where I’ve got those upcoming shows. If you’ve had those vague “geez, it’d be nice to own a Wofford artwork” thoughts, it’s now or never, people. I’ve got to put stuff in storage by around the 15th. I can set choice work aside for a few days longer if you need time to decide, but that’s it. Link to Studio Sale, including pricelist, here. 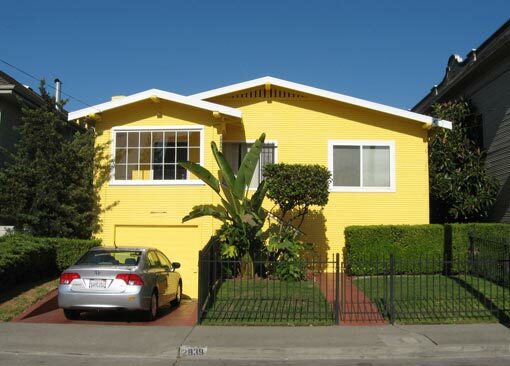 My fabulous 3 bedroom Oakland/Emeryville house is available June 1. It’s being professionally property-managed in my absence, to keep things on the up and up. A link to photos and details is here. If you or a friend is interested, email me and I’ll put you in touch with my property manager, pronto. Just meeting new people and getting warmed up to a new place can take ages, starting cold. If you have any friends and art-world co-conspirators that you think would be great buddy material for Woff and Pirate, let me know! Introductions gladly appreciated. New friends are always great. If you have friends/contacts in Europe (particularly in/near Prague, Vienna and Berlin) that you think would be Wofford-friendly, I’d much appreciate any introductions you can make! I’d particularly appreciate any professional contacts you may have in Europe. I definitely want to see if I can make a living as an artist in the system there, so any fellow artists, gallerists, curators or other appropriate co-conspirators you may know would be particularly helpful. Picture poor lonely little Woff, friendless in a foreign land, staring out her Prague window, in a state of Kafka-esque, Motel Cucaracha-esque, alienation. Imagine how much she’ll treasure your emails, and also finally have more time on her hands to respond! I’m not gone forever, folks! Just for a while.Â A year or so. So don’t write me off. I claim Bay Area. You are currently browsing the Wofflings weblog archives for the day Wednesday, May 6th, 2009.